Slitherine and Games Workshop renew their relationship to offer a fresh approach to the Warhammer 40,000 universe – planetary 4X. In Warhammer 40,000: Gladius there is also a massive difference between playing solo or in multiplayer. The deep storyline was created from scratch to allow players to explore an entire world and lead the expansion of an empire from the ground up. The discovery of ancient artefacts and the custom-crafted quests will reveal the secrets of the planet and its mysterious history as the story progresses. 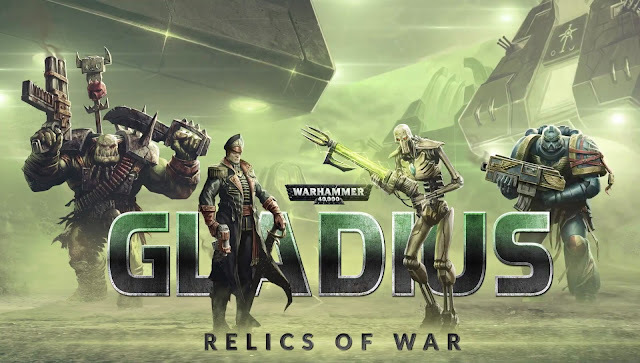 Don't miss the exclusive first look at Warhammer 40,000: Gladius - Relics of War on Slitherine's official [Twitch channel], live on Friday December 1st at 7 pm GMT.